Hard tread urethane wheels with Delrin bearings. Mounted on base top, stabilizer legs fold down with ease and lock in place. Makes loading a truck or van hassle free. Note: Capacity listed at 14" load center. 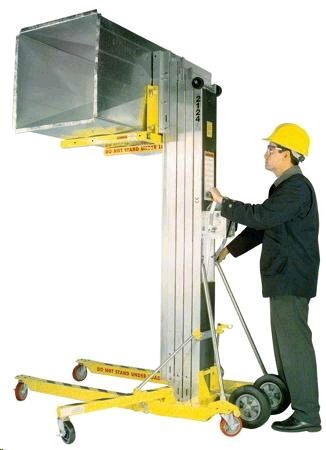 Capacity decreases at 24" and 42" load centers. * Please call us for any questions on our jack hi lift 18 foot 650 cap serving Honolulu, Waikiki and surrounding communities on Oahu.